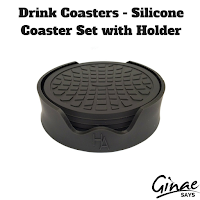 This is a quality set of six coasters to protect your furniture from drink rings, condensation and (hopefully) spills. They aren't pretty. They are black, comprised of rubber, have grooves for sweaty glasses and cups and skid-proof. But, they are a good deal. 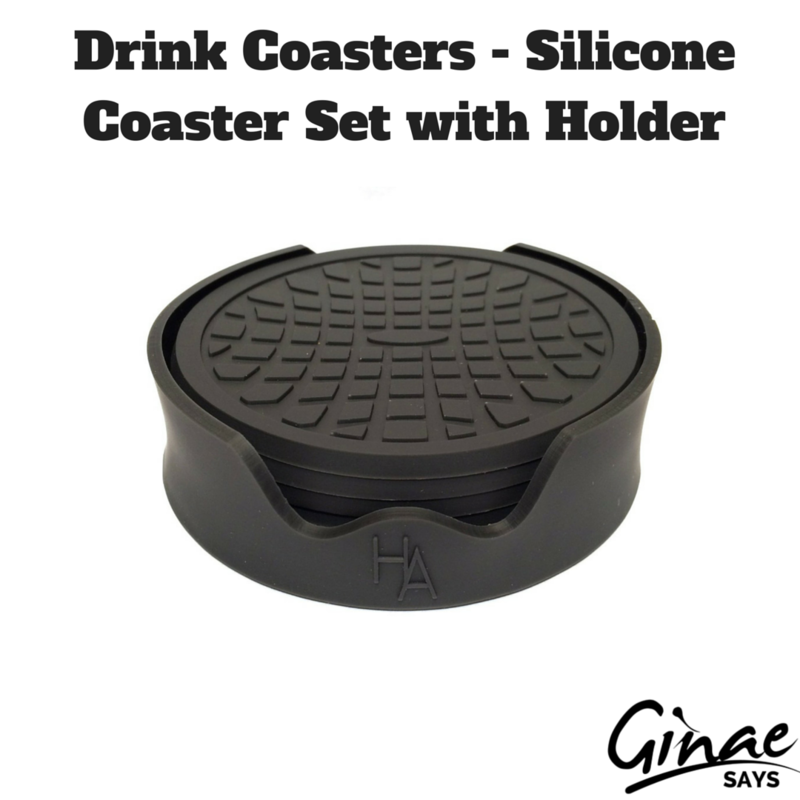 They come with a holder for the set and are an effective means of coastering. Our only issue is that they aren't pretty. But, they are a good buy. For this, they cannot be faulted.